Each year, thousands of cats and dogs find themselves in animal shelters, with others abandoned on the streets. Not only can neutering help reduce these numbers but it can prevent illnesses and some unwanted behaviours too. One of the most important things to do as a responsible cat owner is to make sure your cat is neutered. The number of unwanted kitten litters and pregnant cats coming to charity rehoming centres rises every year, and the only way to reverse this is for more owners to get their cats neutered. So whether you're adopting a new kitten, have an un-neutered cat or know someone who has, read on. to see why you should neuter your kitten. Even if you have a male cat, you should be just as responsible. Get him neutered and he won't be able to impregnate all the local female cats! There are also other benefits, not only for your cat but for you too! It's best for cats to be neutered as soon as they are old enough for the procedure. Cats can become sexually mature from as young as four months so it is best to do it before this happens. Owners don't always know when their female cat has gone into their first season so they can get pregnant accidentally. We recommend cats should be neutered when they are four months old, after they have completed their primary vaccinations. All cats are different so it is best to talk to your vet about your individual cat. 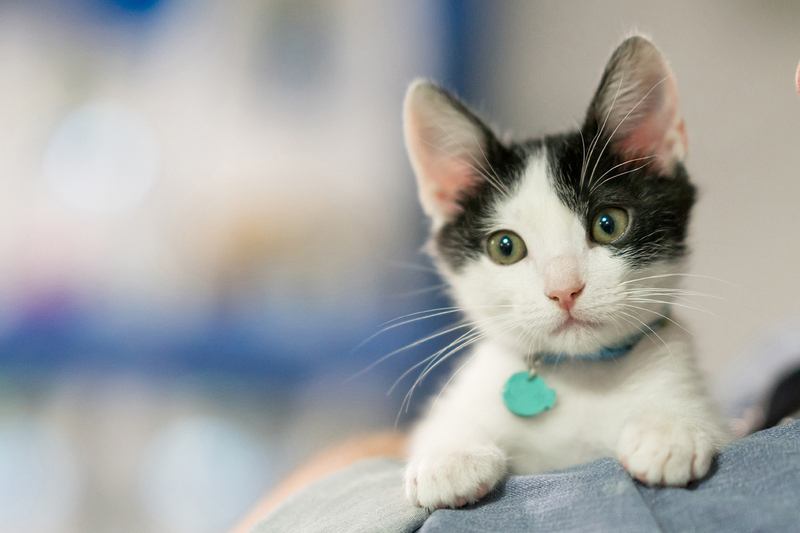 At Battersea Dogs and Cats Home, staff aim to neuter all cats over six months before they are rehomed. If a cat is under six months of age they will invite the owner back to have the cat neutered when he or she is old enough. However, the Mayhew Animal Home advocates early age neutering from about nine weeks of age if the kitten is healthy and weighs around 1kg. Cats Protection encourage kittens to be neutered at four months or younger, before they start puberty. Did you know? One female cat could produce around 18 kittens per year or be responsible for 20,000 descendants over five years! Males cats will smell better. Entire male urine is extremely powerful and pungent! Fighting males are much more likely to spread diseases such as FIV and FeLV to other cats. They are also likely to suffer from fight injuries such as abscesses. As they wander over a large area to find a queen, they are also at greater risk of being involved in an accident on the road. Neutering simply means a day trip to the vet. Cats are admitted in the morning, operated on and go home the same afternoon. Recovery is quick due to the general anaesthetic used and cats are usually eating within an hour of the surgery! Current operating techniques make the surgery as pain-free as possible and most cats will experience only a very small amount of discomfort. In males, both testicles are removed (castration) and this takes away the main source of the male hormone testosterone. In females (spaying), both the ovaries and the uterus are removed so they can't become pregnant. After the operation female cats will have a small shaved area; this fur will grow back in a couple of weeks. A female cat will also need stitches. If these are not dissolvable they will be taken out by the vet around 10 days after the operation. Prices vary from region to region. The average cost to neuter a male cat is between £20 and £40 and the average cost for a female is between £30 and £60. Call all of your local vets to get competitive prices and check if help is available to you at your local/national animal charity. People in receipt of benefits can even get their cat neutered for free with some charities. A female cat on heat will normally become much more restless and affectionate than usual and will also be fussier about grooming herself. There will be greatly increased rubbing and rolling of her body, and she may well howl, known as 'calling', for a mate. You may see her with her front end flat on the floor and her rear end raised high in the air. She will flick her tail to one side, while her hind legs are pedalling away furiously as if she is on a bicycle. If you stroke her, she will tend to crouch down very low. As you can see there are so many reasons why you should neuter your kitten. You'll be benefitting not only your own cat, but offers too, by helping to reduce unwanted kittens, and preventing potential illnesses.